My goodness, look at that chard! It’s beautiful. How beautiful do I think it is? It was beautiful enough that it got me out of bed 20 minutes early this morning so that I could think of something to make with it for lunch. Now that is some serious motivational power. I still had a small bunch of (oddly not wilted) kale from last week’s delivery, so I chopped that up with several handfuls of the chard and sautéed them in olive oil with garlic, spring onions, and about 1 and a half cups of cooked garbanzo beans. Seasoned it all with a few heavy pinches of salt and some red pepper flakes and then took it off the heat and added about 2 tbsp. of grated parmesan cheese. 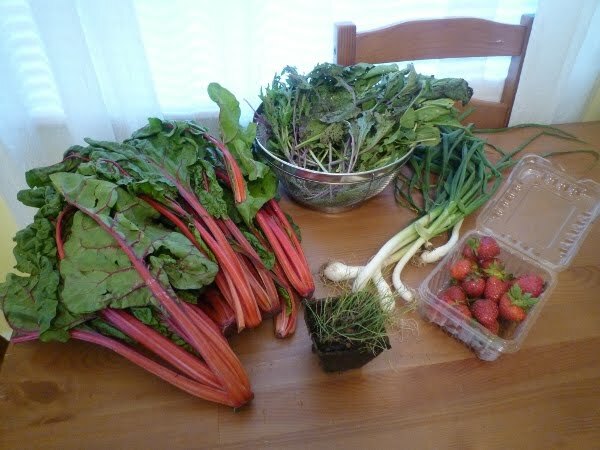 The whole process took about 10 minutes, and if you can believe it, the chard got even more vibrant as it cooked. Normally, I’d just eat that as is, but I like to have a little bit more protein at lunch for a mid-day boost. I boiled a few eggs this morning and will likely chop one up and put it over the greens and beans. The strawberries were exceedingly ripe and therefore needed to be eaten immediately (oh darn!). 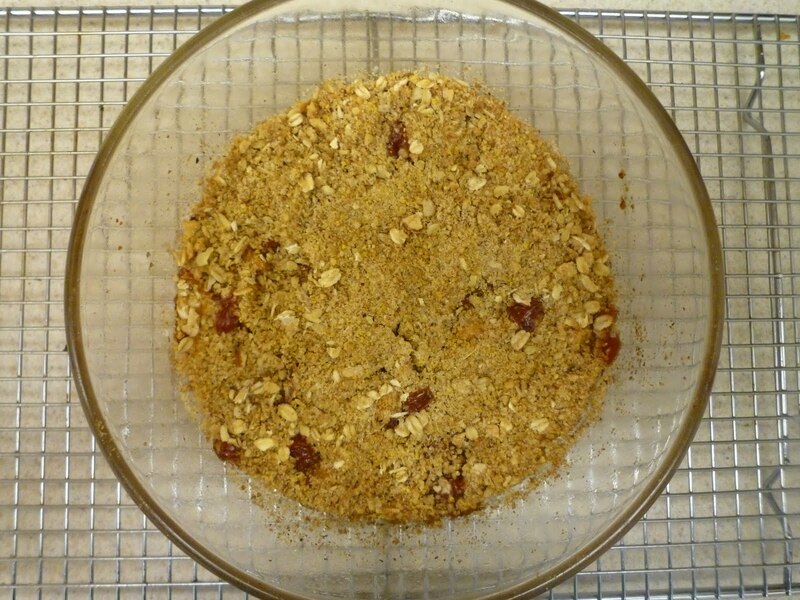 I baked a version of yesterday’s Goodbye Gluten Peach-Berry Crumble, changing out the blueberries for strawberries. It was every bit as incredible as I dreamed. 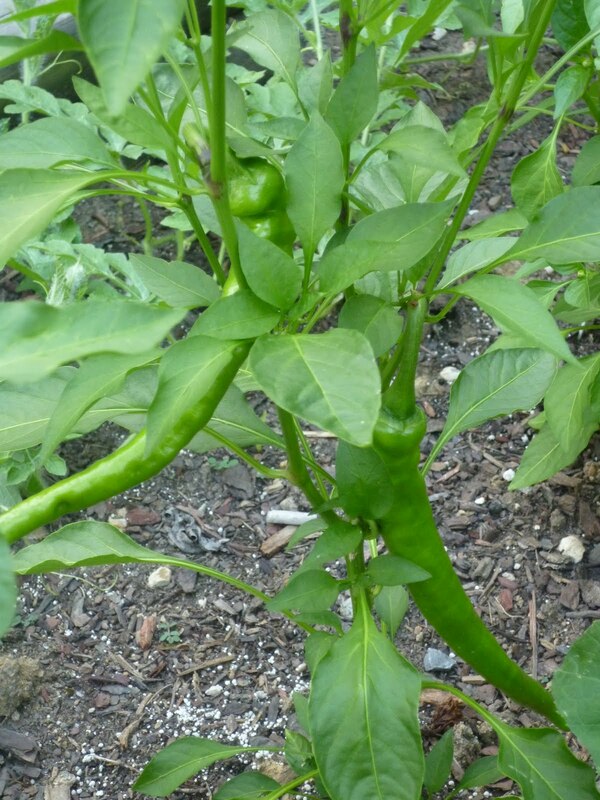 I was surprised how much larger the peppers have grown this year. Those two are already the length of my hand! 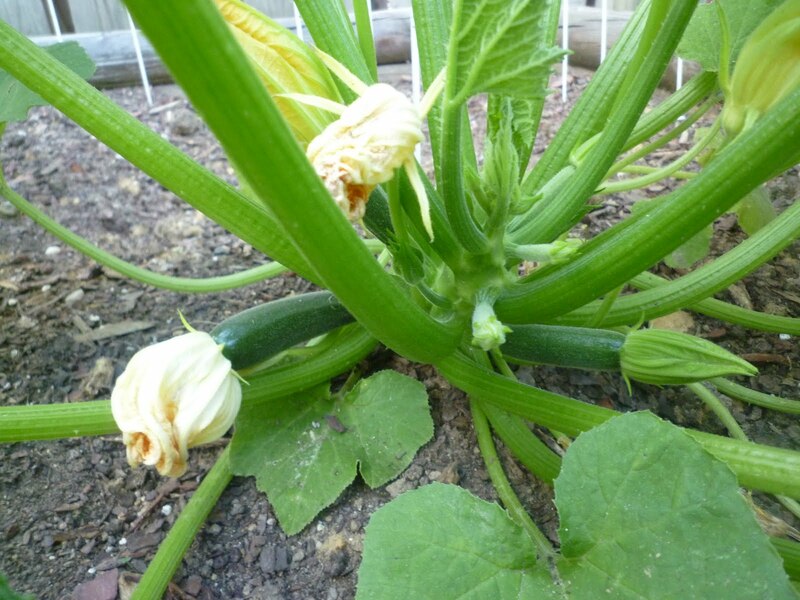 The garden also has two watermelon plants (that seem to grow longer by the hour) and several Romanian sweet pepper plants that are starting to bear vegetables. The spinach plants have been harvesting big, beautiful leaves for the past month, but are about finished now. Finally, there’s the tomato plant. I’ve never had much luck with tomato plants in the past, but I bought a smaller variety this year and already have three little green tomatoes. All of this makes me very excited to be receiving Well-Preserved: Recipes and Techniques for Putting Up Small Batches of Seasonal Foods by Eugenia Bone in the mail today. I want to christen the new pressure canner with something fabulous.